My skin burns so easily and I especially need to be careful in the summer months. I like to spend time outdoors, but I don’t like getting burnt to a crisp. My pale skin never tans so sunscreen is an absolute must for me. And for you too because we all deserve a sunscreen that works for our skin tone! 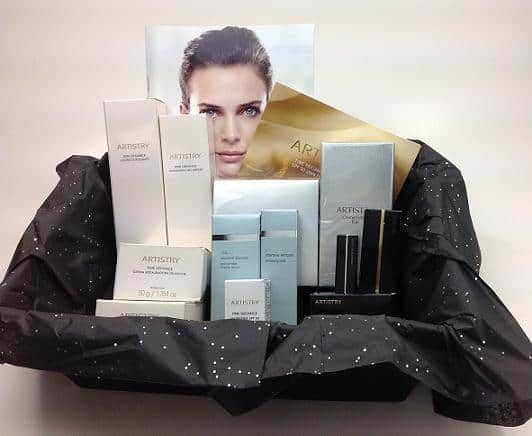 Artistry is a brand that is focused on providing sunscreen solutions for all skin complexions. They’ve recently launched ARTISTRY TIME DEFIANCE UV Defense SPF 50 Ultra Facial Sunscreen for All Skin Tones and have recognized that having a good facial sunscreen is so important. For me, my face is the first to burn and can hurt the most. It’s also the area we want to protect from sun damage (and wrinkles!!). 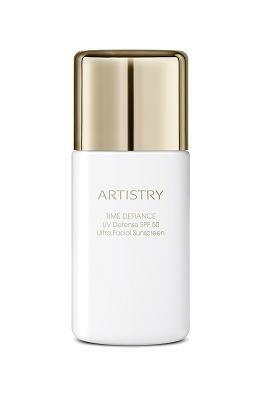 ARTISTRY TIME DEFIANCE UV Defense SPF 50 Ultra Facial Sunscreen for All Skin Tones also helps to reduce the appearance of existing dark spots, discolourations and redness. Plus, it includes the Balanced Brightening Complex which works to brighten and soothe your skin using natural plant extracts (white tea, chamomile & bitter orange peel extracts) and is water-resistant. The sunscreen is ultra-light and absorbs instantly into your skin no matter what your skin tone. Add ARTISTRY TIME DEFIANCE UV Defense SPF 50 Ultra Facial Sunscreen for All Skin Tones to your list of Summer Beauty Must Haves! Check out this video to see how to keep your skin radiant this summer. I get lots of pimples when I sweat from the heat! Sunburns. My skin is fair and I burn easily. This is a wonderful gift. It has everything needed for your skin during the hot, humid summer months. I love the fact that there is sunscreen to combat the effect of the sun’s rays. Would love to try this! Hopefully something would work for breakouts! My skin concern is acne. I have fair skin and want to protect it from the sun so I do not look 50 when I am 35.